Phoenix Surgicals is an ISO 9001- 2008 & ISO 13485 - 2003 Certified Company that is engaged in offering a wide range of Implants and Instruments. Phoenix Surgicals has already secured a position of reliability and prominence as makers of high quality products of international standard for itself. The company has created a strong foothold in the business of manufacturing, exporting and supplying world class Head Locking Plates. Designed to perfection, the Head Locking Plates available with us are easy to fit. We make use of certified quality metals for manufacturing these Head Locking Plates thus, making them the best choice available in the markets. 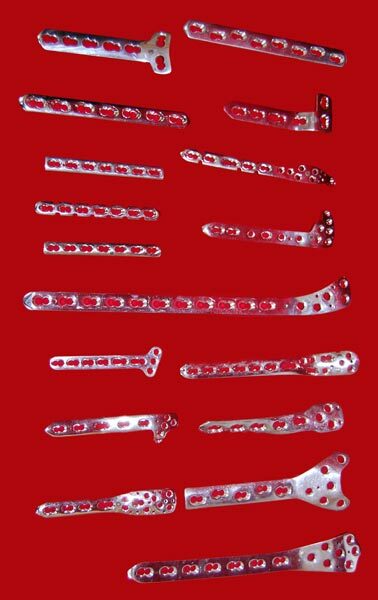 Owing to these factors, these Head Locking Plates are widely used in medical industry. Further, the clients can avail these Head Locking Plates in different specifications, at market leading prices from us.